They say a picture is worth a thousand words. However, the same can be true for any object – a home, a collectible, a car. At our dealership, we appreciate the artistry of a vehicle and how each one can look spectacularly different. Take the 2019 Kia Soul for example. This vehicle has a unique look that appeals to many. Not only that, it offers countless features to keep you and your passengers cozy on any trip. Consider the 2019 Kia Soul today! At Renaldo Kia, we have plenty to offer! Our large inventory is filled with a variety of automobiles for you to choose from. We understand that each driver has a unique taste when it comes to finding the right vehicle. That’s why we always try to offer a diverse range of options just for you! Take a look at our inventory online today! In order to help you become more acquainted with all the 2019 Kia Soul has to offer, we’ve taken a closer look below. Keep reading for more information. On the inside of the Kia Soul, you’ll find a comfortable and cozy cabin. The infotainment system gives you plenty in the entertainment category. You’ll find that buttons are easy to access as well. Entering and exiting the Soul is a breeze, allowing you to make a quick getaway for your adventures. Some of the comfort features you can enjoy include 60/40-split folding rear seats which helps add more room for cargo, a sunroof, a height-adjustable driver’s seat, heated and ventilated front seats, a heated steering wheel, a rear center armrest, eight-way power-adjustable front seats, a leather-wrapped steering wheel, heated rear seats, and much more. Drivers will be happy to know that the Kia Soul comes with several different engine options. First of all, there’s a 1.6-liter four-cylinder engine that generates 130 hp and 118 lb-ft of torque. This engine is offered with the base trim. Next up is a 2.0-liter four-cylinder engine that delivers 161 hp and 150 lb-ft of torque. This engine is offered with the Soul Plus. Lastly, there’s a 1.6 turbocharged four-cylinder engine that makes 201 hp and 195 lb-ft of torque which comes with the Soul Exclaim. It comes paired to a seven-speed dual-clutch automatic transmission. Where to Get Your Kia Soul? 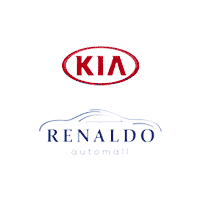 At Renaldo Kia, we happily offer a wide selection of automobiles for you to choose from. We want you as a customer for life, so we’ve pulled out all the stops. We understand that the car-buying process can sometimes be stressful. That’s why we provide a pleasant and stress-free atmosphere for our shoppers. In addition to this, we offer numerous deals and specials for you to take advantage of! Our special offers are only for a limited time. The prices you see on our site today could be gone tomorrow. This means you must act fast to secure one of our amazing deals. After all, you don’t want to miss out on a great deal! Come see us soon. You’ll find our dealership conveniently located at 4425 E Dixon Blvd, Shelby, NC 28152, which means residents of Greensboro, Spartanburg, and Asheville are just a short drive away. Once you arrive, our team of specialists will be more than happy to sit down with you to go over your options, fill you in on our specials, and answer any questions you might have. We’ll also show you around and let you take a test drive or two. Get behind the wheel of the 2019 Kia Soul today! We look forward to seeing you soon.